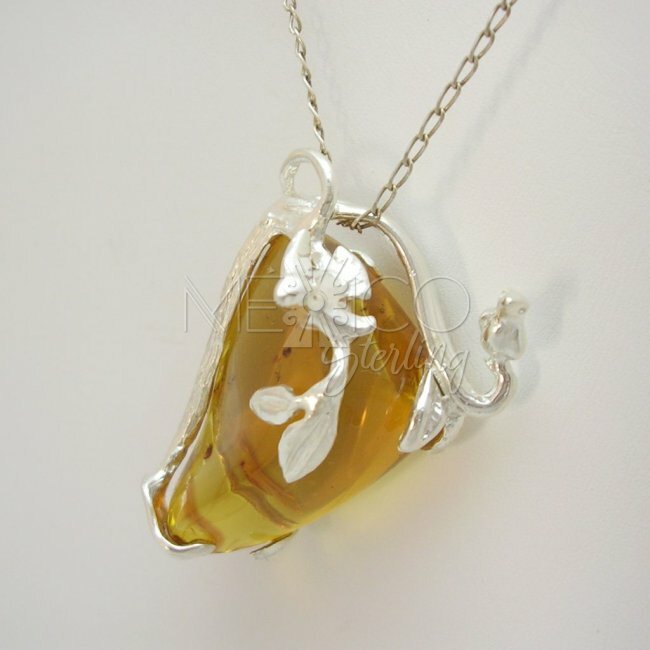 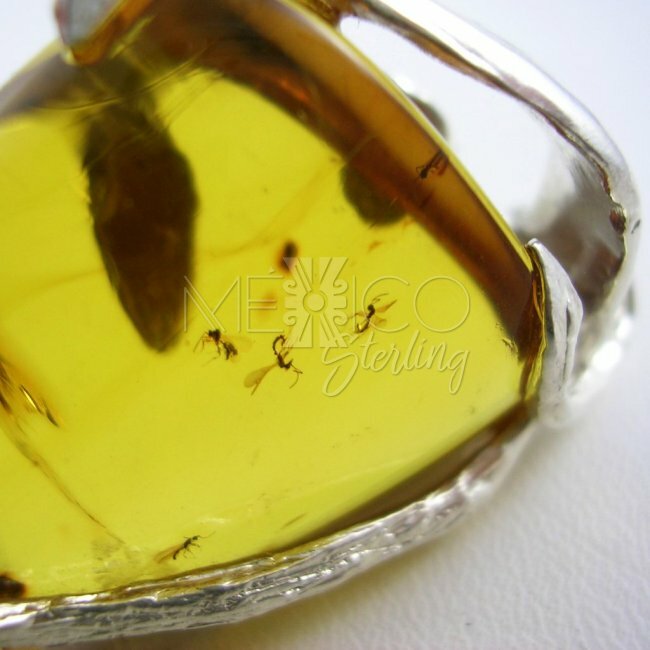 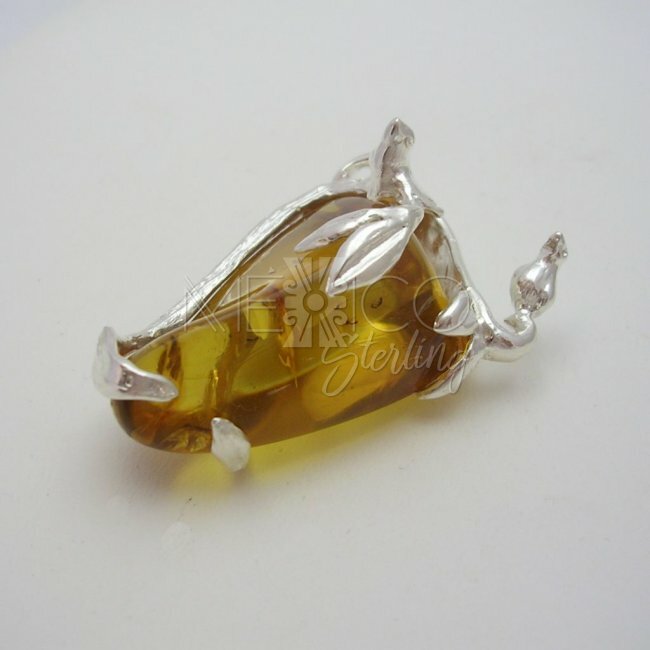 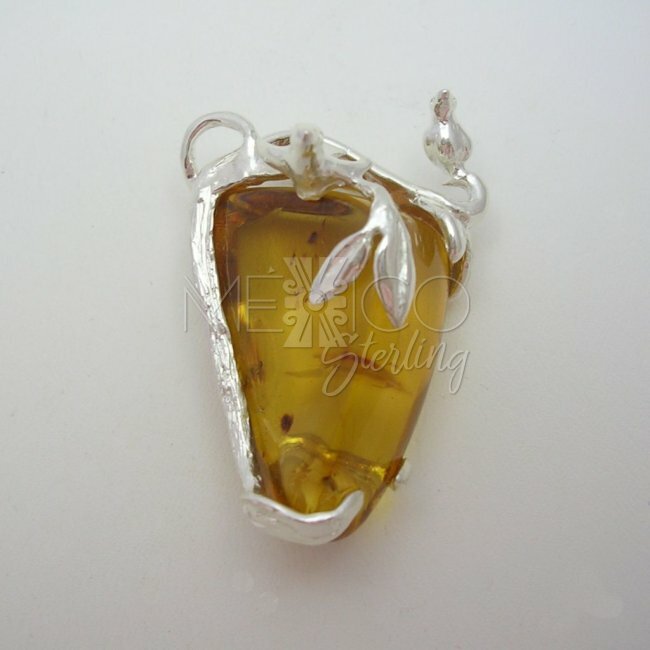 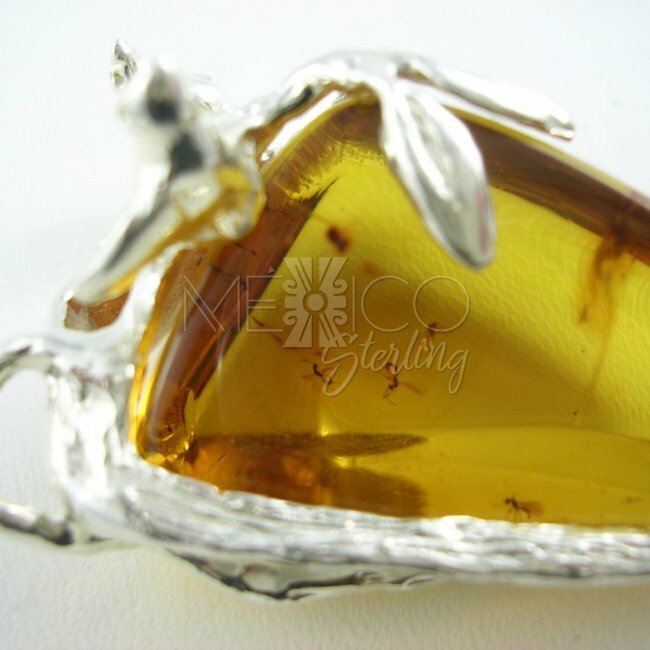 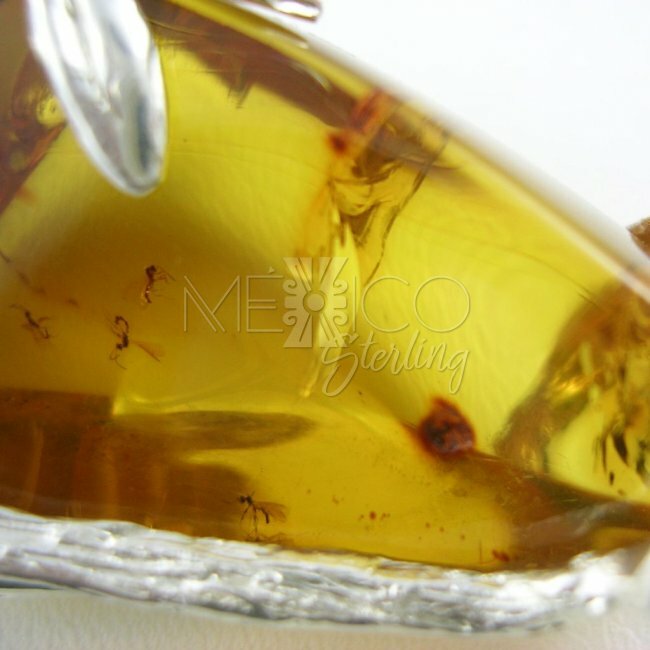 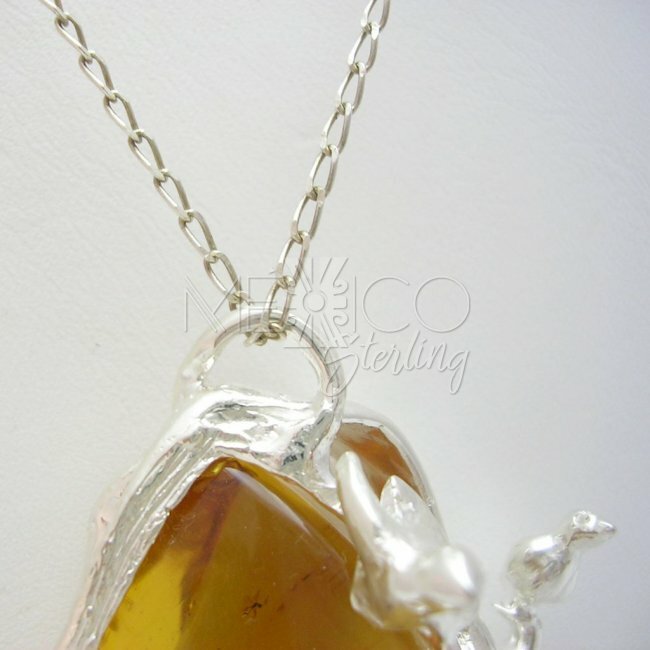 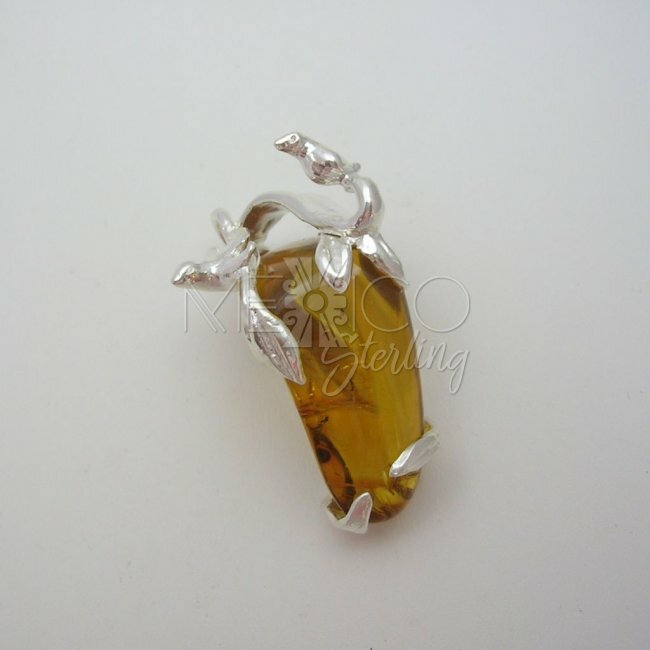 Silver and Simojovel Amber Pendant [PND3156] - $105.00 : Mexico Sterling Silver Jewelry, Proundly from Mexico to the world. 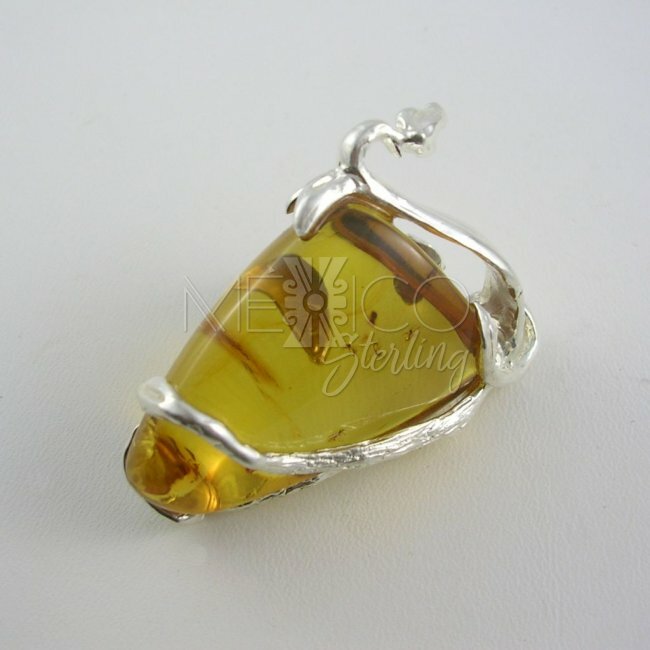 This is a wonderful piece of jewelry that shows a great craftmanship and artistry. 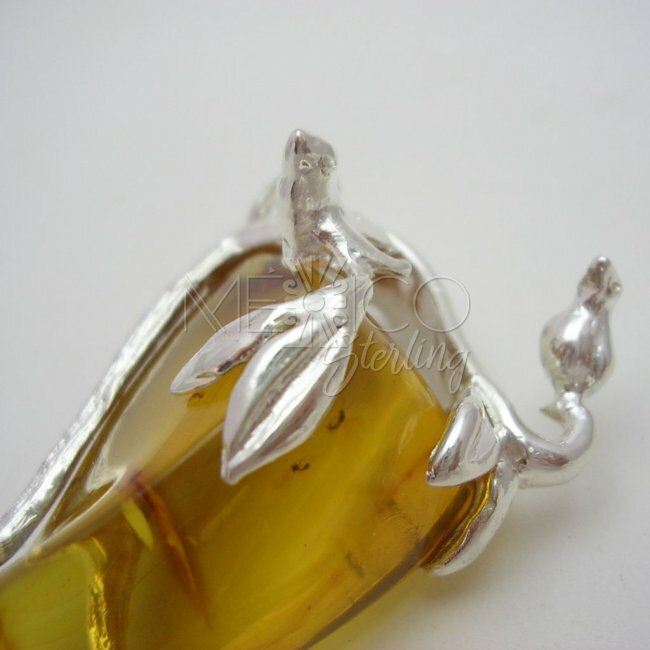 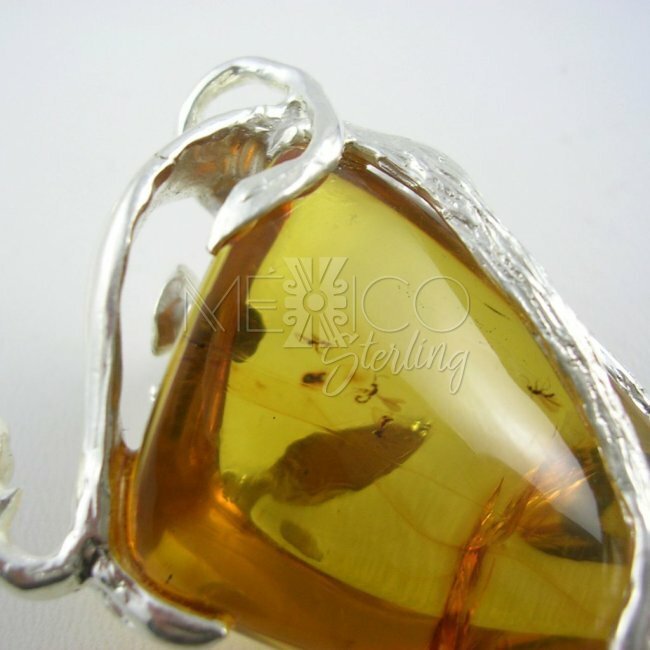 The silver and amber pendant presented here carry that nice Taxco touch that is already well known all around the world. 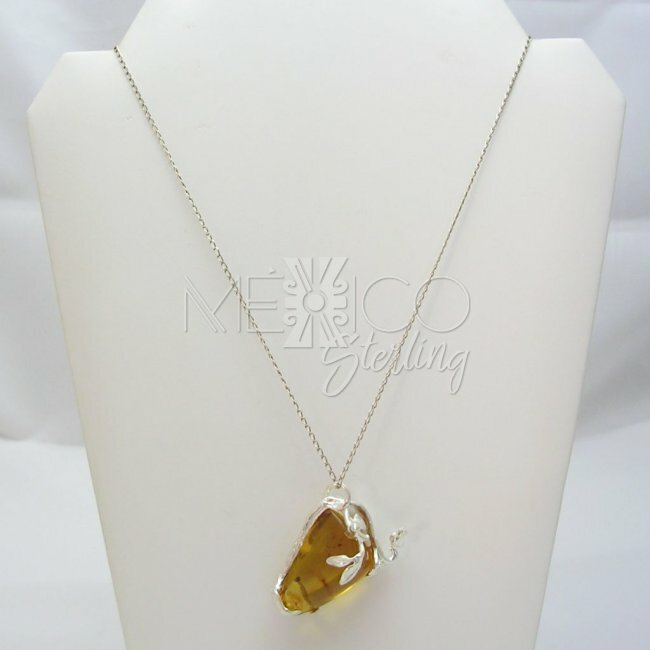 It's a feminine and fashionable piece that can give that special finish to any look. 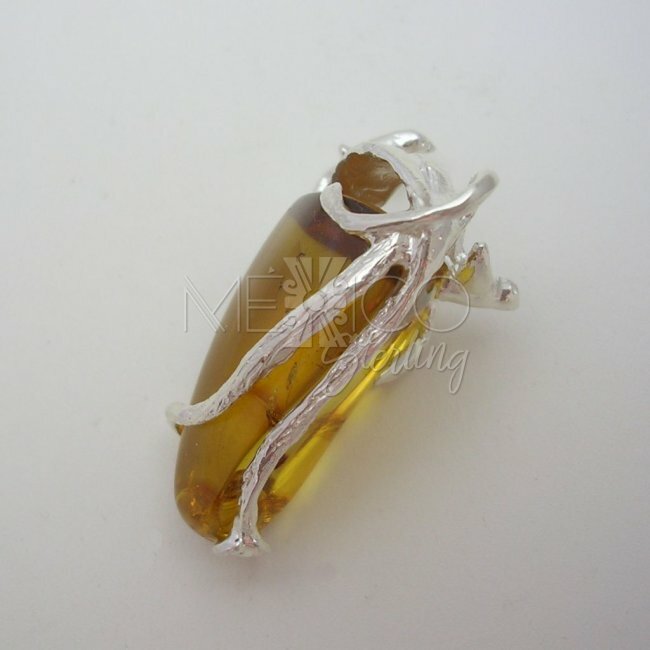 Also, please take a look at the extra pictures where you will be able to see the fossiles inside of it, gorgeous scene kept from ancient times directly to your jewelry collection.